Finally! 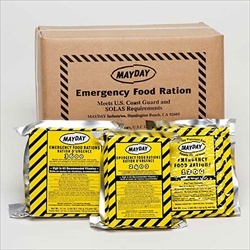 Not only a food ration that tastes great, but is also very nutritious. Our 2400 calorie bars are approved by the U.S. Coast Guard as well as the Canadian Transport Department and have a five year shelf life. 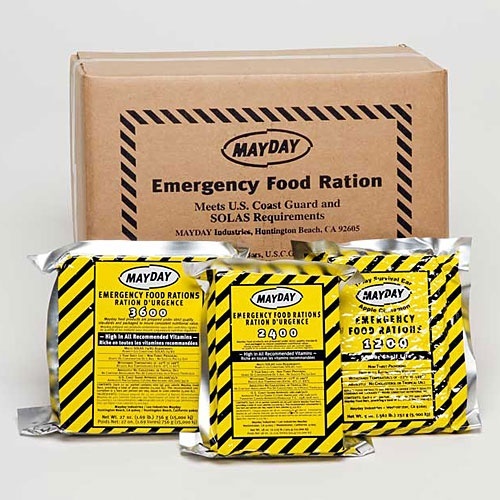 Mayday food rations can be stored outside up to 149 degrees (�F) and can be eaten without preparation. © Copyright 20165 Acorn Supplies. All Rights Reserved.